Aloha & Mahalo for your interest in the CSI Honolulu Chapter. I would like to take a moment to thank all the ohana membership, industry supporters, distinguished past presidents and board members for your devotion to develop and maintain a thriving Honolulu Chapter of the Construction Specification Institute. The Construction Specifications Institute (CSI) was formed in 1948. We are proud to say that the Honolulu is one of the nation’s leading CSI chapters with an active membership of approximately 130 construction industry professionals from a wide array of backgrounds: manufacturer and owner’s representatives, architects, engineers, specifiers, contractors, and students. Our members represent Honolulu-area organizations committed to improving contract document communication throughout the project delivery process and maximizing facility performance. 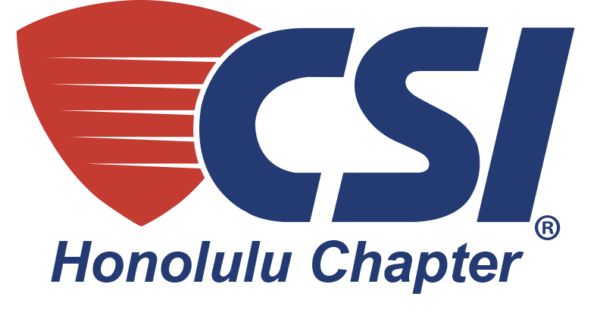 If you are not a member of CSI Honolulu, there has never been a better time to become one. In this years CSI Honolulu 2018-2019 calendar year, we have planned a multitude of educational, social, and networking opportunities for members and guests alike. Every event is an opportunity to openly network and share knowledge with valuable contacts within the Hawaii design and construction community. Our monthly meetings at the Pacific Club cover topics curated to address members’ concerns and industry hot topics. Other event highlights include our technical tours, CDT Education Program, annual Holiday Party, and the CSI/AIA Honolulu Pacific & Building Trade Expo. Please visit our event calendar and join us for these fun & educational opportunities. If you are interested in becoming more active in the chapter, please feel free to reach out to me and/or any board member or committee chair for more information. We have volunteer and sponsorship opportunities of all shapes, sizes, and time commitments that can be customized to you. 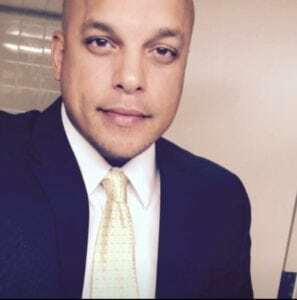 It is my honor to be leading our chapter this year. I can say from experience that you will never come across a more welcoming group of construction professionals willing to learn from and share knowledge with each other. Please join us at our next event!